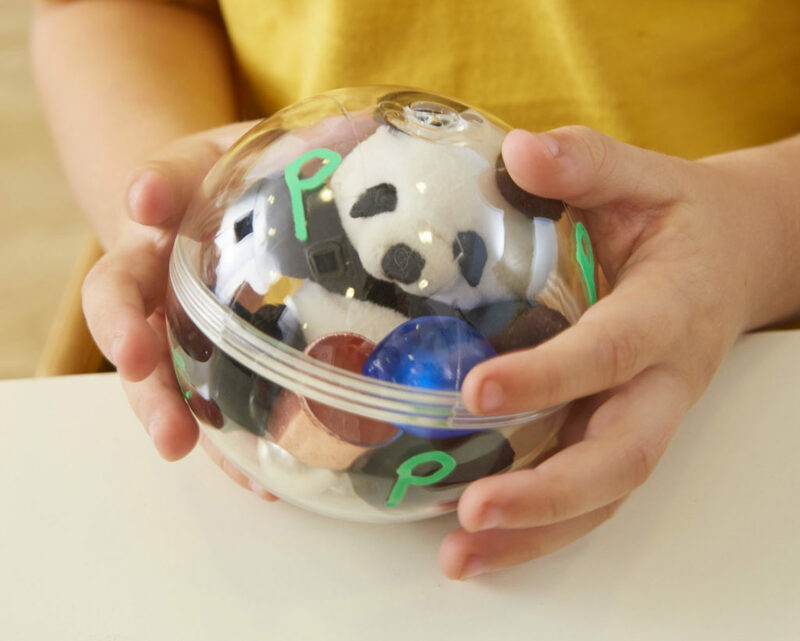 These engaging fillable spheres encase a host of possibilities and provocations. 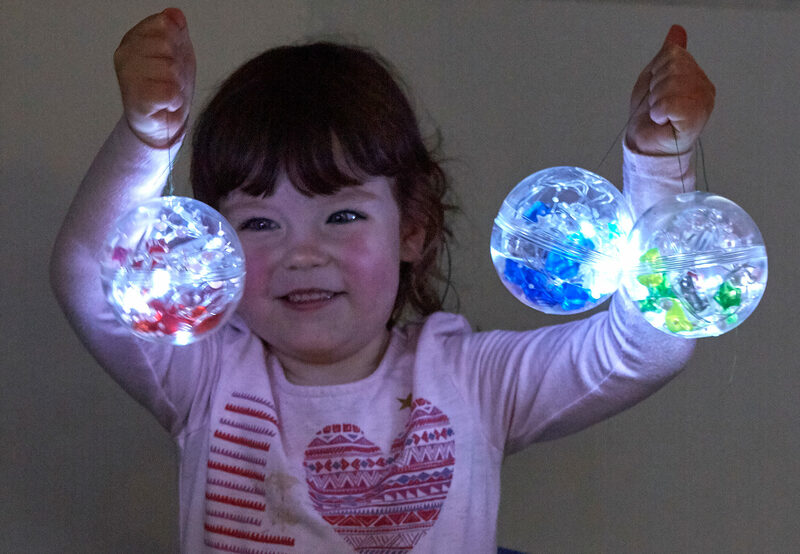 Acrylic baubles are usually filled with Christmas themed items, but, what if you were to fill them with different treasures to engage and delight young learners? What is inside? What discoveries will be made? They can be explored, rolled and threaded on to different surfaces from fences and trees to branches and pegs. 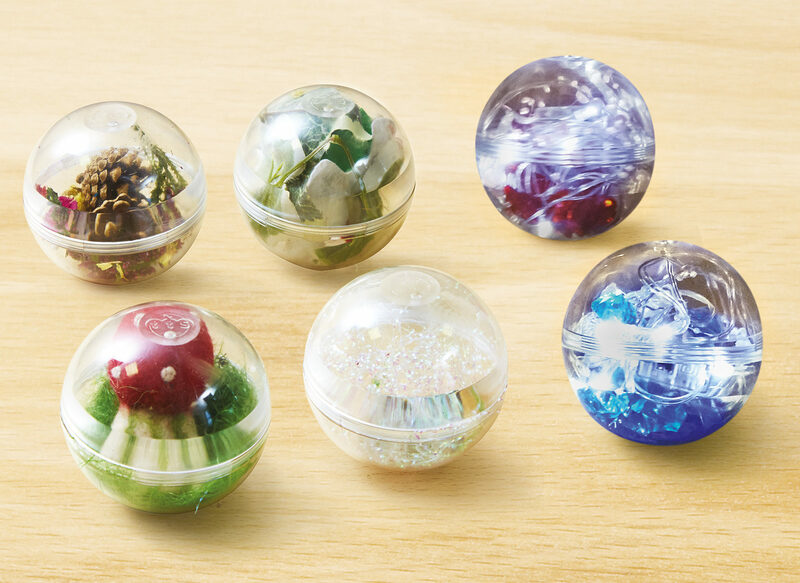 Transform the baubles into small world scenarios, provoking language enrichment. 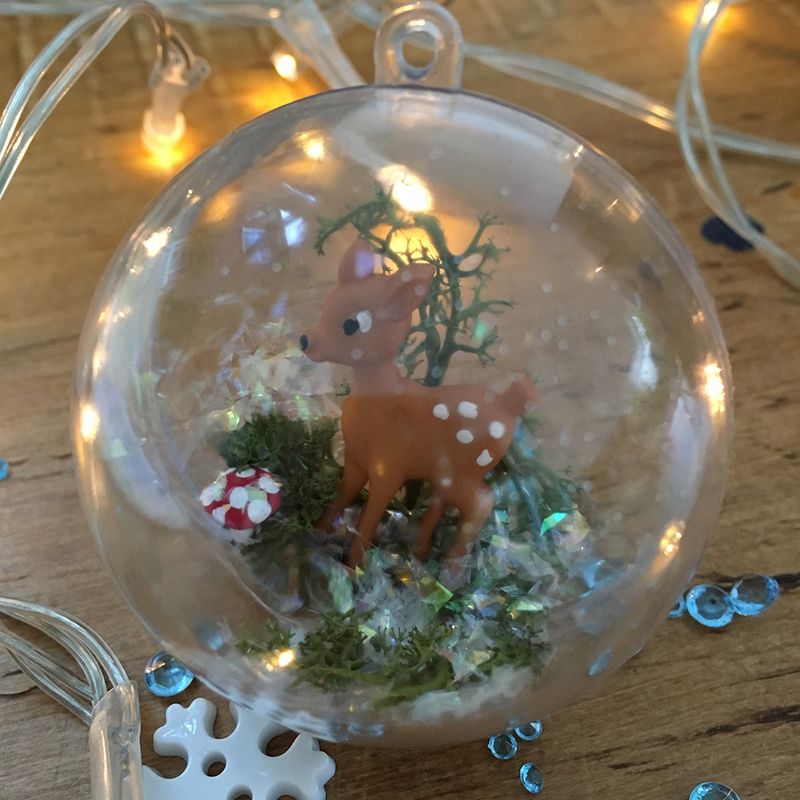 Imagine an icy scene with pretend snow and a polar bear or Reindeer. It could hold a tiny elf sitting on a log. What’s his name and what is he doing there? 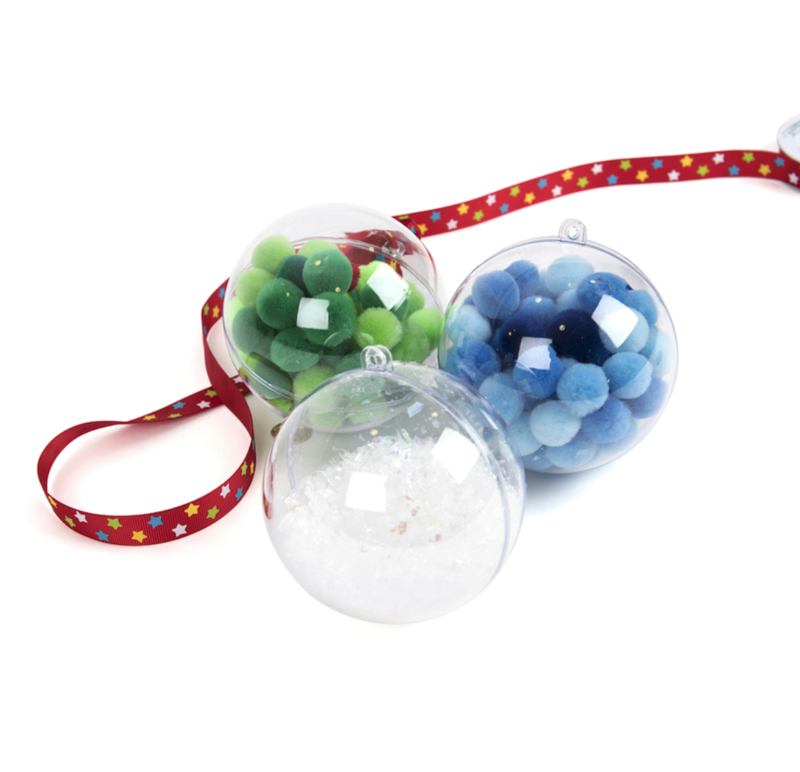 You could make mini collections of sparkly pom-poms, treasures, things that sparkle, jewels, keys or even buttons. Let children self-fill them with loose parts. Fill them with paint and bio-glitter, give them a shake and create mini masterpieces to take home. Open the sphere and let the communication possibilities flow. Sort by shape, size, colour and texture. What about using them for phonic activities? You could sing nursery rhymes by including, for example, a spider for Incy Wincy Spider or a little duck for Five Little Ducks Went Swimming. Have collections of things that rhyme, a mini hat, bat, rat. Collect things with the same initial sounds. 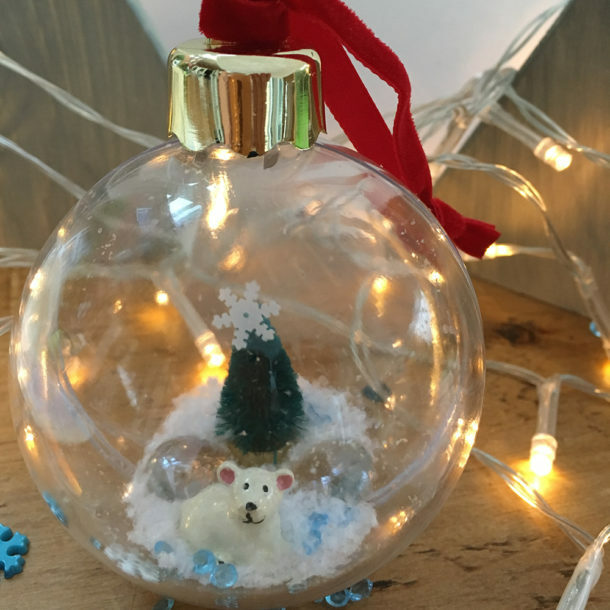 Make number baubles with a numeral and an amount. You could use them to make a 1-10 number line. 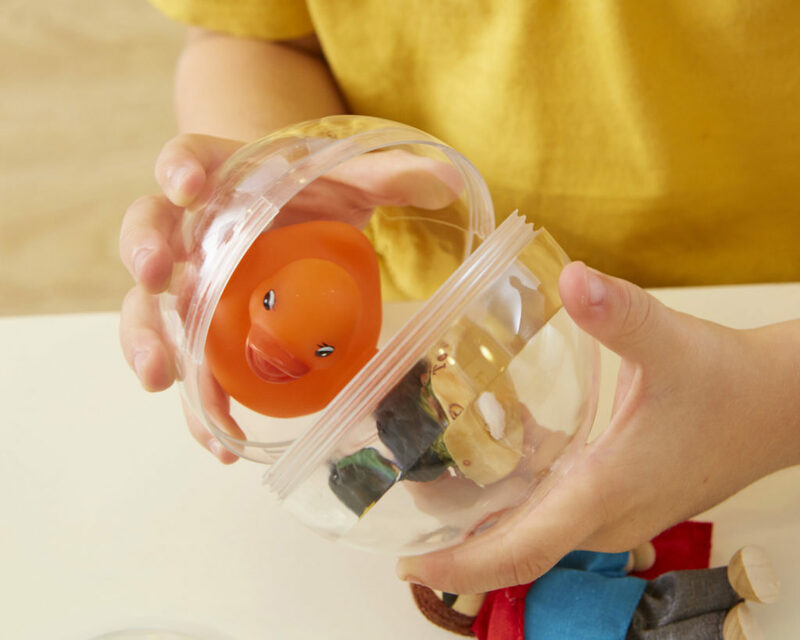 The children could also fill them with things of their own choice and interest. Imagine dinosaurs, shells, minibeasts – the list is endless. Write questions and place secret messages inside. 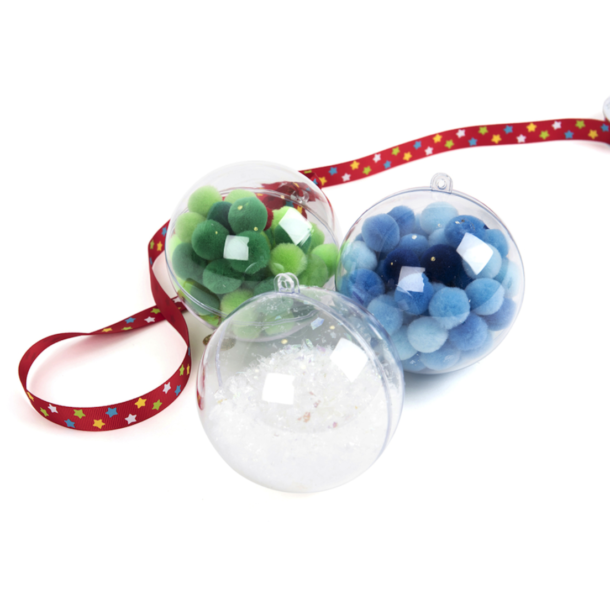 Make a treasure trail with the baubles, hanging them around your setting. Record a message on a Talking Point and place it inside. There are all kinds of things you can place inside the baubles. Have fun filling them with inspirational provocational contents. With thanks to Catherine Clark for writing this post. Catherine is an Early Years education specialist and works at TTS to help develop educationally aligned resources for EY children.